How to contribute to Instagram? Every day, the instagram team publish two to three posts related to a topic. We decide of a theme for each week and then do a literature review on the topic to find facts about organisms or concepts. We then write ca. 100 characters long posts to promote science in a serious but light and funny way. Two main ways to contribute are by submitting either your pictures or a fact (or both). 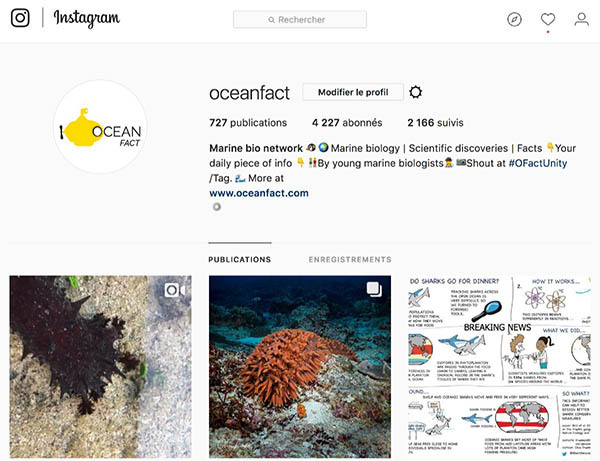 Every Sunday is dedicated to the latest marine science news and you could help gather and break down the latest news. Thésard en biologie/écologie marine avec un intérêt certain pour les réseaux trophiques.